This range of sturdy maple wood storage units have been designed to complement the Elegant table and chair units. 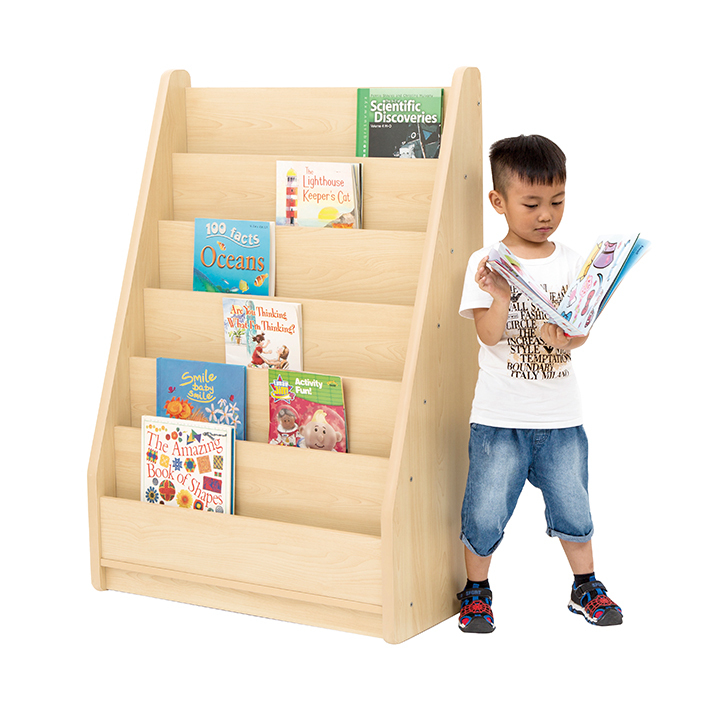 All units have hard wearing and child safe rounded pvc edges and are built to stand the rigours of daily classroom use – having passed relevant strength and stability tests. Manufactured from a combination of 18mm (shelves) and 28mm (external frame) board and delivered flat packed for easy assembly. 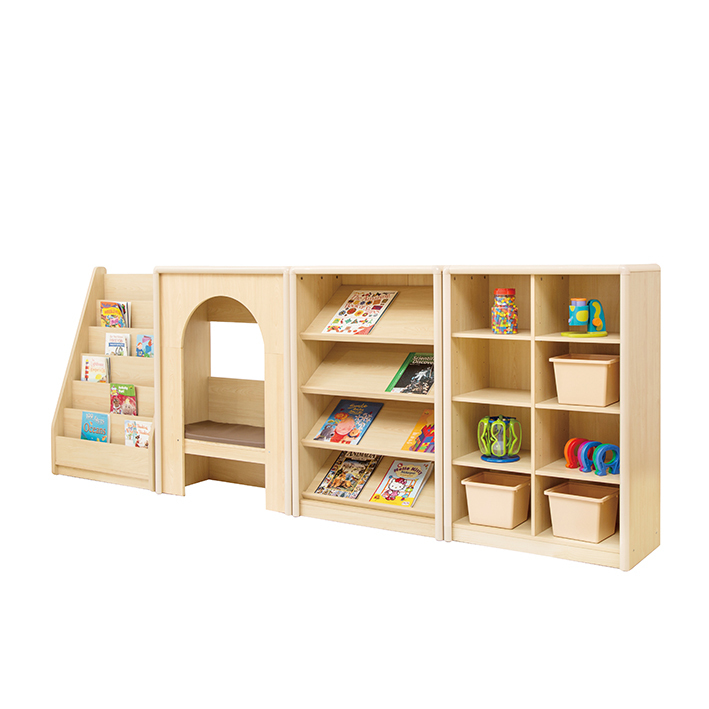 With 6 levels this storage unit allows you to store a maximum number of books for face on and eye-catching display.